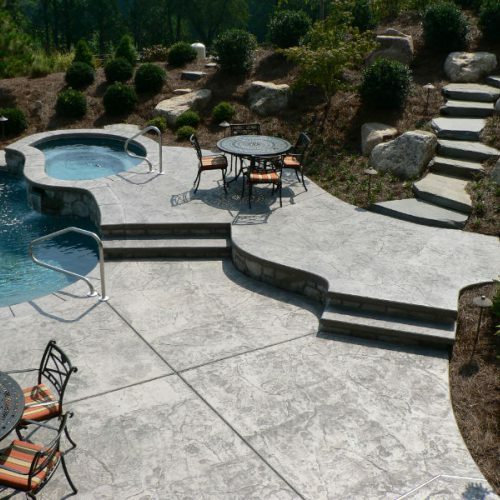 When designing their outdoor living space, the home owners of the Pennsylvania Aggregates and Concrete Association 2014 Residential Decorative Project of the Year were very specific in what they were looking for. They wanted a product that would allow versatility in design and a surface that was as close to maintenance free and as natural looking as possible. Concrete was chosen as the ultimate building material due to its durability and sustainability, as well as, the fact that it may be custom colored and shaped to meet any requirement. 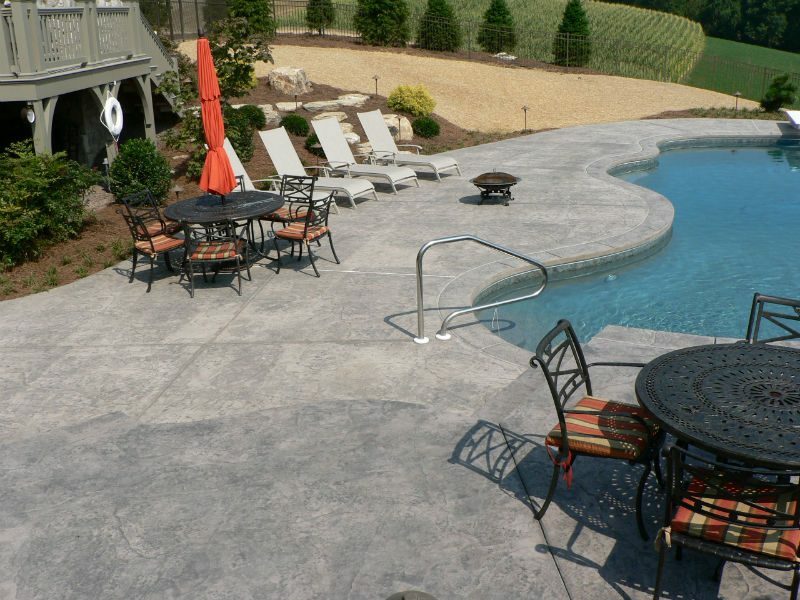 The design team used an integral grey color pigment in the concrete, a dark gray release agent and the Cesar Stone stamp pattern along with a free flowing shape to create the perfect pool. As you can see in the pictures of the pool deck, it all came together beautifully as the color and finish of the concrete was a perfect complement to the look of the local natural limestone boulders used on the project. 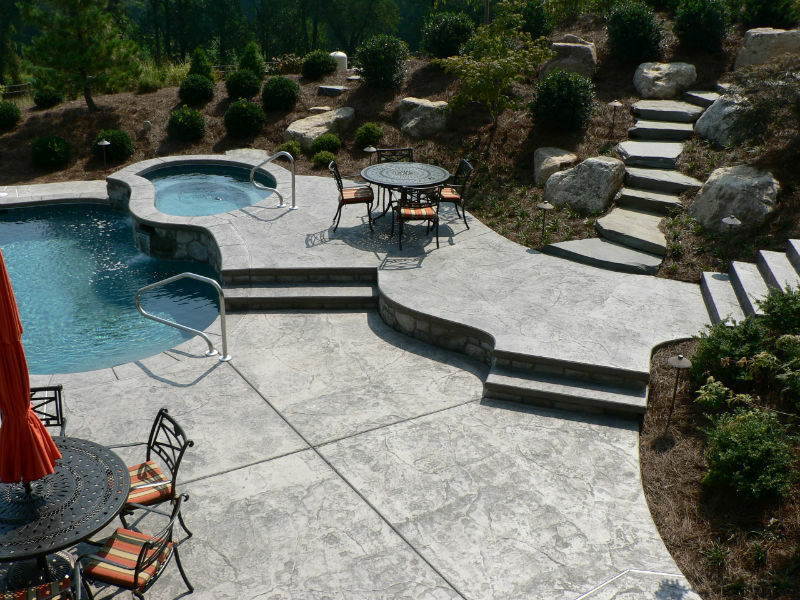 For beauty and durability choose the best, choose concrete.